3B Evan Longoria - Bruised hand after HBP on March 1st. Day to day. OF Sam Fuld - Right wrist. Expected to play in Spring Training games by the end of this week. DH Luke Scott - Recovering from right shoulder surgery. Expected to play in Spring Training games by the end of this week. LHSP Matt Moore - Strained abdominal. Expected to throw batting practice this week and make Spring Training debut next week. RHRP Brandon Gomes - Recovering from back surgery. Expected to throw batting practice this week. RHP Jay Buente - Rehabbing from surgery on right shoulder. Out majority or all of 2012 season. RHP Garret Smith - Tommy John surgery on March 7th. Out for 2012 season. RHP Matt Ramsey - Tommy John surgery on right elbow (August, 2011) after signing from 2011 draft. Out majority or all of 2012 season. RHP Richard De Los Santos - Placed on DL April 13th, missed rest of 2011 season. OF Emeel Salem - Missed the entire 2011 season rehabbing from right knee surgery. RHP Chris Andujar - Placed on DL May 7th, missed rest of 2011 season. OF Chris Murrill - Placed on DL May 30th, missed rest of 2011 season. RHP Jairo De La Rosa - Missed the entire 2011 season rehabbing from right shoulder surgery. RHP Jason McEachern - Placed on DL August 19th with shoulder injury, missed rest of 2011 season. 2B Hector Guevara - Placed on DL July 23rd with shoulder injury, missed rest of 2011 season. RHP Wilmer Almonte - Missed the entire 2011 season due to right shoulder injury. RHP Jesse Hahn - Missed entire 2011 season recovering from Tommy John surgery on right elbow (August, 2010). Has not yet played pro ball. OF Kes Carter - Didn't play after June 20th with leg injury. RHP Drew Leary - Didn't play after June 28th. LHP Luis Wilches - Missed entire 2011 season recovering from Tommy John surgery on left elbow (May 23, 2011). RHP Jose Fermin - Missed entire 2010 and 2011 seasons rehabbing from Tommy John surgery on right elbow (November, 2010). Note: Until 2012 rosters are released players are listed under their most recent team. Do you know if the Yankees have a sight similiar to this one? For other teams try clicking the "Prospect WebRing" tab at the top right of the page. Best I could find for minor league coverage of other organizations. McEachern threw live BP to some catchers today, good sign. Shuman was rotating his shoulder and talking to the trainer after his session, might be nothing since it is still the first week. Thanks Jim. He didn't miss much time at the end of the year but I included him because it was a shoulder issue. I'll remove him when I do the next update. Quate still rehabing due to minor surgery in off season. Chris Murrill is back, healthy, and playing. He's ready for the 2012 season. 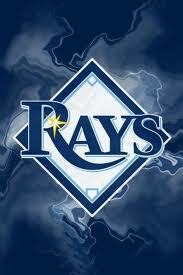 Go Rays!